In September, 2018 Greenbelt Land Trust acquired the 406 acre Santiam-Kingston Hills property – a dynamic landscape that runs along the North Santiam River outside of Stayton in Linn County. This unique property creates a conservation zone of 1,000+ acres, including Greenbelt’s ownership of the adjacent Kingston Prairie Preserve. This region has been identified by Greenbelt, and by state and regional partners as a critical corridor for conservation opportunities. Working alongside private landowners, local partners, and regional funding agencies created the opportunity to permanently protect this property for future generations. 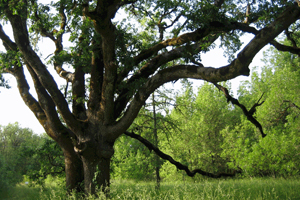 The property consists of primarily oak woodland/savanna, mixed hardwood and fir forest, floodplain habitats and potential for grassland and prairie habitat restoration. Approximately 37 acres are in riparian habitats in good condition including active river channel, floodplain and riparian forest cover; 90-acres are forested composed of oak woodlands with a good component of larger white oaks, mixed with bigleaf maple, Douglas fir and exotic cherry; and 281 acres are classified as potential grassland and some wet prairie. 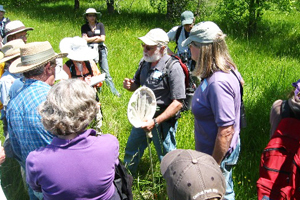 Currently the grassland acreage is primarily in agricultural use (grass seed, grazing pasture, fallow or home site) and includes springs, seeps, and headwaters for tributaries to the North Santiam River watershed. The native grasses in the area are California oatgrass and Roemers fescue. 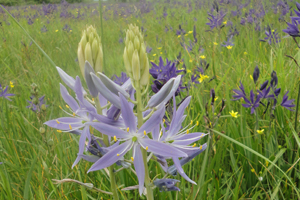 Unique plant species include shooting stars, Bradshaw’s lomatium, monkey flower, checkermallow, camas lily and bog saxifrage. Western meadowlarks, while rare in the Willamette Valley, are common residents in the area, and a slough that crosses the property is known to provide excellent habitat for anadromous fish, cutthroat trout, lamprey, Oregon chub and numerous terrestrial and aquatic wildlife species. 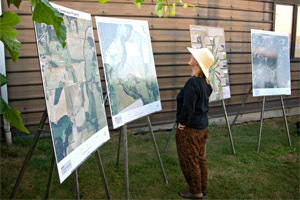 The property is within Greenbelt’s Conservation Area of Interest and the region is highlighted in many regional planning and assessment efforts. This property joins an expansive conservation corridor of 1,000+ acres along the North Santiam River, including GLT’s Kingston Prairie Preserve and lands managed by the Confederated Tribes of the Grand Ronde, the City of Stayton, and the Bureau of Land Management. The region has also been a hub of private land restoration projects through partnerships with area nonprofits and state agencies. Through a partnership with landowners who were committed to leaving a legacy on their land for future generations, Greenbelt Land Trust acquired the 406-acre Santiam Kingston Hills property. 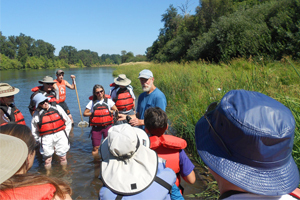 The acquisition of this dynamic property was provided through funding from the Willamette Wildlife Mitigation Program, a joint conservation fund administered through Bonneville Power Administration and the Oregon Department of Fish and Wildlife. Greenbelt will manage the property to advance the protection and enhancement of populations of key focal prairie species and overall habitat connectivity. Management priorities for the property will focus on restoring existing fields to native habitats over time, controlling invasive plants, maintaining sensitive habitats, and building strong partnerships in the region. There is no public access on Santiam-Kingston Hills.